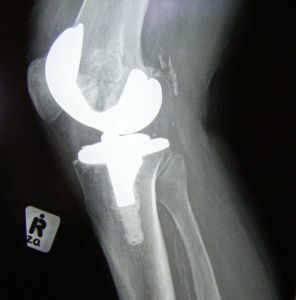 Our Boston hip implant attorneys know that metal-on-metal hip implants have proven to be very dangerous. Thousands of patients throughout the United States are taking legal action in order to hold DePuy Orthopaedics and other manufacturers responsible for the harm that these medical devices have caused. However, the problems with these devices are not isolated to the United States alone. Concerns are being raised globally regarding the problems with the metal-on-metal products. In fact, RTE News Ireland recently revealed that the Health Service Executive has ordered a review of all patients who have been fitted with metal-on-metal artificial hips. According to RTE News Ireland, there have been approximately 6,500 patients fitted with metal-on-metal hip implant devices. A total of 3,500 of these devices are ASR devices made by DePuy Orthopaedics. The remaining 3,000 of these metal-on-metal devices were made by other manufacturers. Unfortunately, many of the patients with ASR devices and other metal-on-metal devices have experienced a failure of their hip implant. In fact, in excess of 21 percent of the patients with DePuy devices have had to undergo revision surgery within just five years. When the time period is extended to seven years, the number of patients who have required revision surgery jumps up to 23 percent. This data on replacements, which comes from the 2012 report from the UK’s joint registry, has prompted the Health Services Exchange (HSE) to conduct its major review of metal-on-metal hip implant patients. As RTE News Ireland has indicated, the HSE’s review follows a similar review launched by the UK’s medical devices regulatory agency, the MHRA, which occurred last year. The review also comes at a time when DePuy is facing many lawsuits in Ireland, in the United Kingdom, in Australia and in the United States. In fact, DePuy faces more than 600 lawsuits just in Ireland. There are also another 300 cases being taken against the HSE because the HSE purchased ASR joint replacement products on behalf of public patients. To keep better tabs on patient outcomes, a new national database is being created in Ireland called the Irish National Orthopaedic Register (INOR). INOR will be a joint initiative between the Royal College of Surgeons and the HSE and will monitor both the performance of medical devices as well as the activity of medical professionals who perform hip replacements and the institutions where hip replacement procedures occur. Hopefully, this registry will help to provide further information that will help to keep patient safe. Although those who have metal-on-metal devices have already been put at risk and the registry won’t help them to avoid loss, the registry can identify future problems quickly and can hopefully help people to remain safer in the future.